Pacific Data Systems Australia provides custom environmental monitoring, data acquisition and systems integration solutions across a broad range of industries, including mining, oil / gas / energy, construction, manufacturing, agricultural, government, transport , health, security, and waste management. We work in close consultation with our clients to design, develop, install and commission systems and solutions that implement the latest technology, lowering clients’ total cost of ownership (TCO), which will ultimately assist them in managing and maximising their organisations’ performance and capabilities. In addition to custom solutions and systems integration, the company is also a major specialist provider for off-the-shelf scientific and industrial instrumentation. 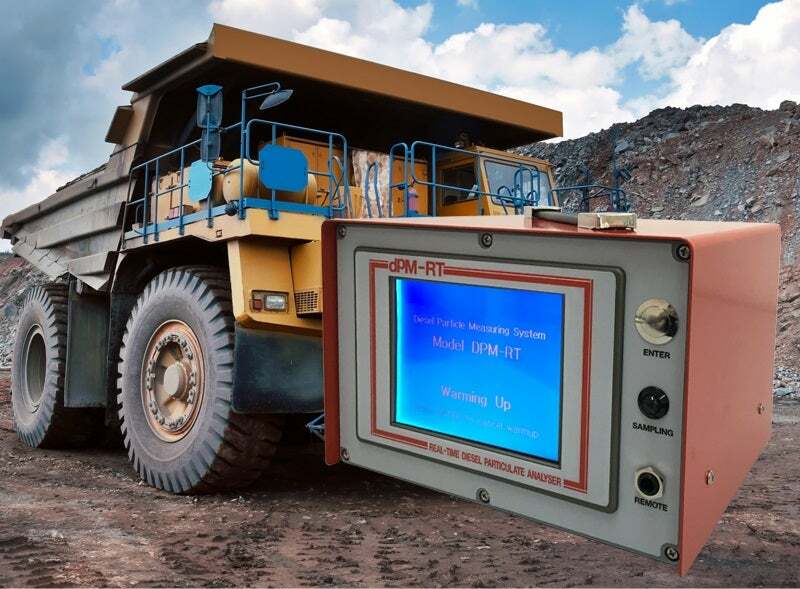 Locally designed and manufactured by Pacific Data Systems, the dPM-RT Real-time diesel particulate analyser is a rugged, practical and easily operated DPM analysis instrument was specifically designed for measuring particulate concentrations in the exhaust of mining engines. Using advanced laser light-scattering technology, the DPM-RT can accurately and instantly measure particulate mass concentrations in the exhaust from all engine types. Our WeatherCast Automatic Weather Station is a robust and reliable solution designed to provide clients with fast, accurate updates on local weather conditions for operational or environmental compliance. Whether you simply want to monitor wind speed and direction only (for noise / odour compliance), or require the full sensor suite to monitor rainfall, wind speed / direction, temperature, humidity, and barometric pressure, we have a WeatherCast model to suit your application. This solar-powered solution is mounted in a rugged, powder-coated stainless steel enclosure. Ingress protection from on-site dust and water is assured. Remote 3G / 4G access for real-time data visibility and download via an internet-enabled device, such as a smartphone, tablet, or PC is also available. Remote monitoring and data acquisition is often impractical or potentially unsafe in hard-to-reach locations, especially those outside of standard 3G / 4G coverage areas. For this reason, we have developed SatVUE, an off-the-shelf remote satellite monitoring solution. With up to two analogue, digital or MODBUS I/O protocol inputs available, the SatVUE system can integrate with a broad range of application-suitable sensors, making it the perfect plug-and-play solution, regardless of the parameters you are required to monitor, these include water level, pH, turbidity, EC, flow, rainfall, temperature, relative humidity, CO2, SO2, O2, volatile organic compounds, soil moisture, leaf wetness, and hydrocarbons. Remote access is available for a secure web portal anywhere, anytime utilising the Inmarsat Data Pro Satellite Network Communications. Pacific Data Systems is a part of Inmarsat’s Certified Application Partner (CAP) programme, which ensures our SatVUE product is certified for use over the IsatDataPro Satellite Network. We specialise in providing systems integration built around the premise of plug-and-play or turnkey solutions. Each application is approached with the same premise while considering the client’s requirements. Collaborating with the client will help us to determine the best data logging platform, sensing technology, power (mains or solar) requirements, and whether remote communications (3G / 4G or satellite) is required. The Kestrel 1000-IS Intrinsically Safe Air Velocity Meter is a critical piece of equipment for monitoring air flow in underground mine ventilation operations. This portable, handheld device holds the Certificate of Conformity for Explosion-Protected Electrical Equipment AUS 02.2538 (to Ex ia 150°C IP55), issued by the Safety in Mines Testing and Research Station (SIMTARS). Every unit is fully tested for measurement accuracy and waterproof integrity, and is calibrated to National Institute of Standards and Technology (NIST) traceable standards. When it comes to Breath-Alcohol detection instruments, some devices on the market underestimate breath alcohol concentration (BrAC) readings, which falsely indicate the user is under the 0.050 limit. We only offer highly-accurate, fuel-cell technology breathalysers for mining, law enforcement and workplace safety applications. The AlcoVUE® is a state-of-the-art, highly accurate, industrial-grade breath-alcohol testing solution offering both quantitative (direct) and qualitative (passive) sampling to detect ethyl alcohol from a valid breath sample. The AlcoVUE is Australian Standard AS 3547-1997 certified. The ALCORapid alcohol-screening analyser is suitable for zero-tolerance environments, providing a rapid, non-contact (qualitative) method of detecting the presence of ethyl alcohol from a valid breath sample. The Secure4 multi-drug test cup is a lateral flow, rapid, qualitative, competitive immunoassay for the determination of drug-of-abuse (DOA) and / or their metabolites in human urine. Secure4 detects tetrahydrocannabinol (THC), methamphetamines, amphetamines, morphine, and cocaine, and includes a key-activated split urine cup, which allows the specimen to be shipped directly to a laboratory for further testing. The cup features a tamperproof seal and temperature control, as well as complying with Australian standards (AS/NZS 4308:2008). The SalivaScreen Oral Fluids testing kit is a lateral flow, chromatographic immunoassay drug test for qualitative, simultaneous detection of DOA in saliva. SalivaScreen detects THC, methamphetamines, amphetamines, morphine, and cocaine. Since 1984, Pacific Data Systems Australia has been providing reliable, cost-effective and timely solutions in the areas of environmental monitoring, data acquisition, scientific and industrial instrumentation, remote computing and systems integration. Please contact us today to discuss your monitoring or data acquisition application via the following contact details. We are pleased to announce the re-launch of our SatVUE.com.au website. ConsultCorp is a global group that provides practical solutions for companies involved in mining, infrastructure, energy, urban growth and natural resources. In this case, its client was a major mining company. This guide explores the challenges and health concerns faced by fine particle pollution caused by diesel vehicles, and how these challenges are overcome using the latest advances, best practices and technologies for diesel particulate analysis. This guide explores the challenges of remote monitoring, the latest advances and recommends best practices and technologies for remote monitoring. For many years, the Kestrel 1000-IS Intrinsically Safe Air Velocity Meter has been the instrument of choice for ventilation officers, and other mining personnel, to effectively monitor air flow in underground mine operations. The Pacific Data Systems’ SPOKEdata Weather Station is a user-friendly robust monitoring system designed to provide you with frequent, accurate updates on your local weather conditions. We're pleased to announce that our dedicated Drug, Alcohol & Safety solutions website, DrugDetectionSolutions.com.au, is now live after having an overhaul. We're pleased to announce that certification against Australian Standard AS 3547-1997 has been extended on our zero-tolerance breathalyser, the ALCORapid®. Introducing the latest locally designed and manufactured DPM technology by Pacific Data Systems, the dPM-RT Real-time Diesel Particulate Analyser. Questions to consider when choosing a breathalyser. The following article shows us where satellite-enabled remote-monitoring systems can be utilised in the mining, oil and gas industries, the considerations for cost efficient optimisation and the operational benefits of having real-time, reliable access to critical data. Pacific Data Systems is pleased to announce the release of the Series 4 range of dataTaker data loggers. In an effort to provide the very latest in high-accuracy, premium grade technology at competitive prices, we at Pacific Data Systems are pleased to announce the release of a brand new range of industrial-grade breath-alcohol detection devices available in Australia, and with it, a new brand; DrugDetectionSolutions.